Get some cultural insight at Melbourne Museum and National Gallery of Victoria. Get outdoors at Melbourne Zoo and Balloon Rides. There's still lots to do: don't miss a visit to Shrine of Remembrance, have some family-friendly fun at Zero Latency, contemplate in the serene atmosphere at St Paul's Cathedral, and see the world from above with a helicopter tour. To find traveler tips, where to stay, other places to visit, and other tourist information, go to the Melbourne tour itinerary maker website . Hamburg, Germany to Melbourne is an approximately 25-hour flight. You can also do a combination of train and flight; or do a combination of flight and train. The time zone difference moving from Central European Time (CET) to Australian Eastern Standard Time (Victoria) (AEST) is 9 hours. Prepare for little chillier weather when traveling from Hamburg in June: high temperatures in Melbourne hover around 16°C and lows are around 6°C. Finish your sightseeing early on the 25th (Tue) so you can travel to Katoomba. Step out of the city life by going to The National Pass and Kanangra-Boyd National Park. Your cultural itinerary includes sights like Norman Lindsay Gallery & Museum and Megalong Creek Estate. On the 27th (Thu), dedicate a day to the elevated beauty of Perry's Lookdown. 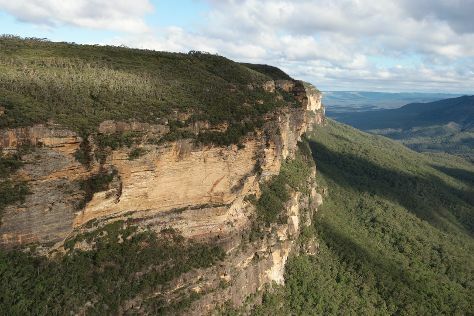 There's still lots to do: take in the dramatic scenery at Wentworth Falls. For photos, more things to do, traveler tips, and other tourist information, refer to the Katoomba trip builder . Traveling by combination of flight and train from Melbourne to Katoomba takes 6 hours. Alternatively, you can drive; or take a train. Expect a bit warmer weather when traveling from Melbourne in June: highs in Katoomba hover around 20°C, while lows dip to 7°C. Cap off your sightseeing on the 28th (Fri) early enough to go by car to Sydney. Sydney Opera House and Darling Harbour are good opportunities to explore the local culture. 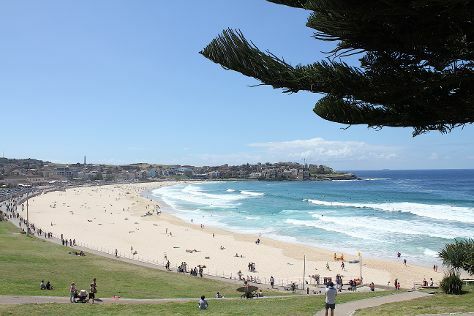 You'll get in some beach time at Bondi Beach and Clovelly Beach. The adventure continues: wander the streets of The Rocks, snap pictures at Sydney Harbour Bridge, hike along The Opera House to the Botanic Gardens Walk, and admire the natural beauty at Royal Botanic Garden Sydney. To find maps, more things to do, traveler tips, and other tourist information, refer to the Sydney trip app . Traveling by car from Katoomba to Sydney takes 1.5 hours. Alternatively, you can take a train. Traveling from Katoomba in June, you can expect nighttime temperatures to be somewhat warmer in Sydney, with lows of 11°C. Finish up your sightseeing early on the 2nd (Tue) so you can travel to Coffs Harbour. On the 3rd (Wed), explore the landscape on two wheels at Coffs Creek Walk and Cycleway and then identify plant and animal life at Boambee Creek Reserve. To see reviews, traveler tips, other places to visit, and other tourist information, use the Coffs Harbour trip builder website . You can fly from Sydney to Coffs Harbour in 4 hours. Other options are to do a combination of flight and bus; or drive. July in Coffs Harbour sees daily highs of 22°C and lows of 9°C at night. Wrap up your sightseeing on the 3rd (Wed) to allow time to travel to Brisbane. Step out of the city life by going to Lone Pine Koala Sanctuary and Mount Ngungun. Get a sense of the local culture at Queensland Museum & Sciencentre and Queensland Art Gallery. Next up on the itinerary: have fun at South Bank Parklands and get great views at Mount Coot-tha Lookout. To see where to stay, photos, more things to do, and other tourist information, use the Brisbane online sightseeing planner . You can fly from Coffs Harbour to Brisbane in 4 hours. Other options are to drive; or do a combination of bus and train. Expect a daytime high around 24°C in July, and nighttime lows around 11°C. Finish your sightseeing early on the 6th (Sat) to allow enough time to travel to Airlie Beach. Escape the urban bustle at Scuba & Snorkeling and Whitehaven Beach. On the 8th (Mon), spend a thrilling day on the water with a speed boat tour. Next up on the itinerary: get some thrills out on the water with a waterskiing or jet-skiing adventure and view the masterpieces at Above & Below Photography. Plan trip to Airlie Beach with our itinerary maker to find out where to go and what to do. Getting from Brisbane to Airlie Beach by combination of flight and bus takes about 5 hours. Other options: do a combination of flight and ferry; or drive. Traveling from Brisbane in July, you can expect nighttime temperatures to be a bit warmer in Airlie Beach, with lows of 20°C. Cap off your sightseeing on the 9th (Tue) early enough to catcht the bus to Whitsunday Island. 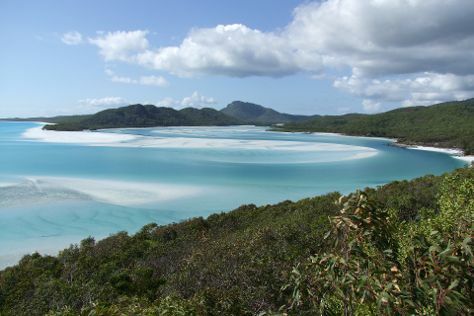 Kick off your visit on the 10th (Wed): explore the activities along Hill Inlet and then stroll through Whitehaven Beach. For maps, photos, more things to do, and more tourist information, refer to the Whitsunday Island trip maker . You can take a bus from Airlie Beach to Whitsunday Island in an hour. Alternatively, you can ride a ferry. Expect a bit cooler evenings in Whitsunday Island when traveling from Airlie Beach in July, with lows around 13°C. Wrap up your sightseeing on the 10th (Wed) early enough to travel to Port Douglas. Get outdoors at Scuba & Snorkeling and Opal Reef. When in Port Douglas, make a side trip to see Thornton Beach in Thornton Beach, approximately 54 minutes away. Spend the 12th (Fri) spotting exotic species with a safari tour. There's still lots to do: identify plant and animal life at Hartley's Crocodile Adventures, look for gifts at With Sugar, learn about wildlife with up-close encounters at Wildlife Habitat Port Douglas, and take in the exciting artwork at Des Spencer Galleries. You can do a combination of flight and shuttle from Whitsunday Island to Port Douglas in 4 hours. Other options are to do a combination of bus, flight, and shuttle; or take a train. Traveling from Whitsunday Island in July, you can expect nighttime temperatures to be a bit warmer in Port Douglas, with lows of 20°C. Finish up your sightseeing early on the 14th (Sun) so you can go by car to Cairns. Take a break from the city and head to Scuba & Snorkeling and Trinity Beach. Relax by the water at Palm Cove Beach and Yorkeys Knob Beach. Spend the 16th (Tue) wandering through the wild on a nature and wildlife tour. Next up on the itinerary: tour the pleasant surroundings at Esplanade Boardwalk, identify plant and animal life at The Jack Barnes Bicentennial Mangrove Boardwalk, and learn about all things military at The Australian Armour & Artillery Museum. To see photos, ratings, more things to do, and more tourist information, you can read our Cairns trip planning website . Drive from Port Douglas to Cairns in 1.5 hours. Alternatively, you can take a bus; or take a shuttle. In July, plan for daily highs up to 30°C, and evening lows to 20°C. Finish your sightseeing early on the 18th (Thu) so you can travel back home.